Modern or Contemporary: What’s the Difference? When it comes to architecture, Modern and Contemporary are terms that are often used interchangeably. What is the difference between them? Why the distinction? At their most literal, “contemporary” is the architecture being produced now, the architecture of the moment. “Modern” architecture breaks with the past — specifically the traditional styles of before the Industrial Revolution. And while it’s true that Modern is Contemporary, Contemporary isn’t always Modern. 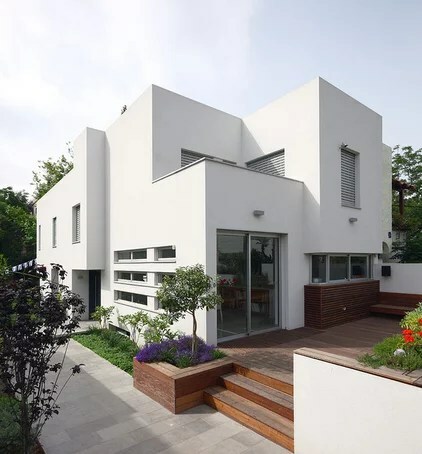 Modernism is an architectural movement of the early to mid-20th Century that broke with the traditional, classical architecture that preceded it. 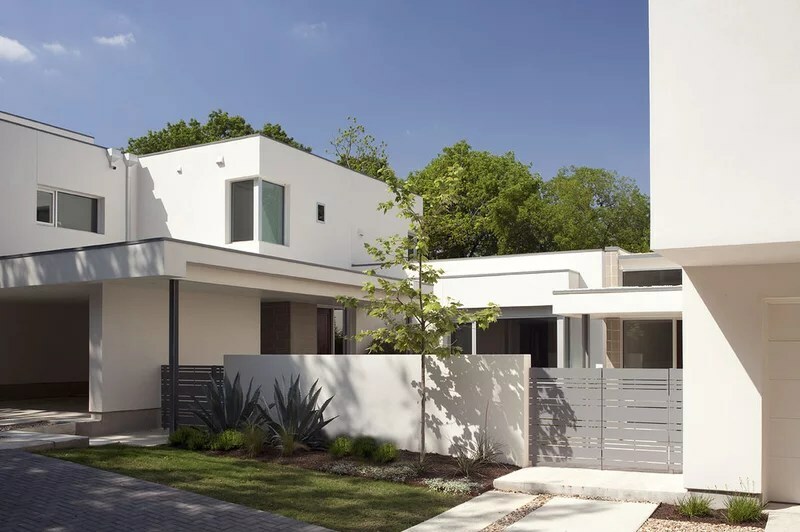 Sometimes called International Style, it emphasizes simplicity and form over the superfluous or fussy detail that was then the norm – think of the traditional Victorian or Edwardian homes still found in some of Calgary’s older neighborhoods. As most of Calgary’s growth took place post 1950, there are just a handful of original, truly Modernist buildings in Calgary. One prime, residential example is Elboya’s Trend House, by the firm Rule, Wynn & Rule, who also designed Calgary’s first skyscraper. Contemporary is simply architecture that is being built now. It is usually used to describe a Modern house, but even a newly built, suburban Tudor, or the community of Garrison Woods can be described as contemporary. But neither is really modern. Modern. This four-condo project by Hugh Jefferson Randolph is clearly rooted in modern architecture: whitewash surfaces predominate, corner windows are evident, and cantilevers and overhangs can be found. Another aspect of the modern style is an intentional asymmetry, a departure from the Classical bilateral symmetry that was prevalent before the 20th century. Contemporary. The MuSh Residence is an obvious departure from the previous project. Instead of white, the solid walls are covered in zinc with randomly spaced reveals. A cantilever is found, but its relationship to the main volume is more complex, and it is offset by a notch on the other side. The house may be boxy and flat-roofed like most modern architecture, but its idiosyncrasies make it contemporary through and through. 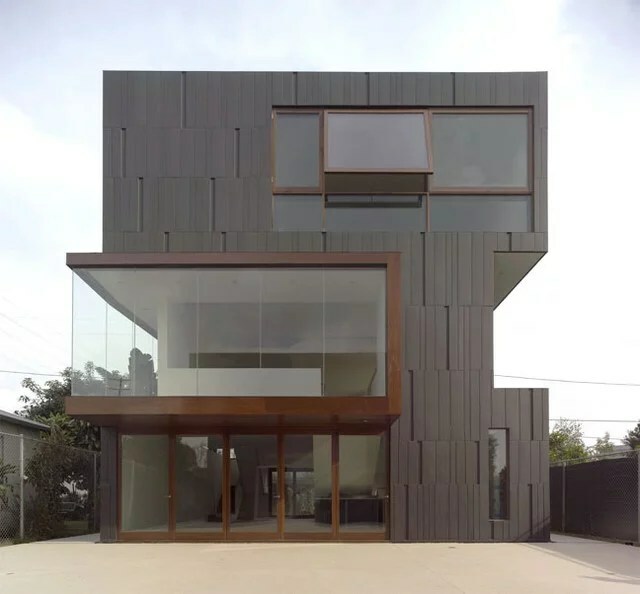 The MuSh Residence (the name and alternating upper-lower case make it quite contemporary too) is actually comprised of two cube-like buildings: a three-story house (previous photo) and a two-story volume with garage adjacent to the street; between is a courtyard. The shorter volume has the same skin and literal expression of circulation via glass. The composition is much more free-form than modern buildings. Modern. A couple of projects by Amitzi Architects of Israel embrace the tenets of modern architecture, or what is also referred to as the International Style, after the 1932 MoMA exhibition curated by Philip Johnson and Henry-Russell Hitchcock of the same name. That exhibition articulated the ideals of modernism as a style, uniting buildings and architects across the globe through the articulation of volumes, walls and windows. House L does it so well it looks like it could have been made 70 years ago. Modern. House K by Amitzi Architects features simpler volumes than House L, but the solid walls are treated to the same whitewash. The window treatment is of note here; the louvered screens cut down on direct sunlight. 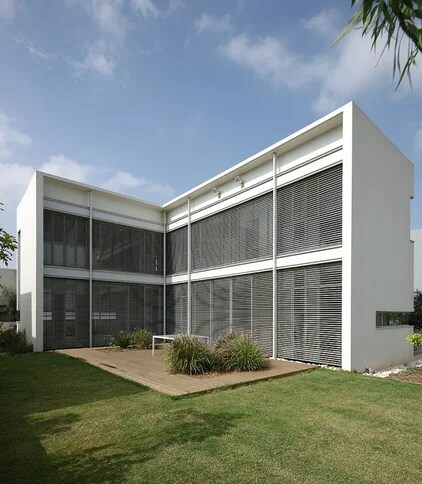 Even though hermetically sealed office buildings — the high modernism of Mies van der Rohe — give the impression that modern architecture ignores climate, many early- and mid-20th-century modern buildings used architectural elements in response to sun, wind, etc. This simple house is rooted in that modern vein. 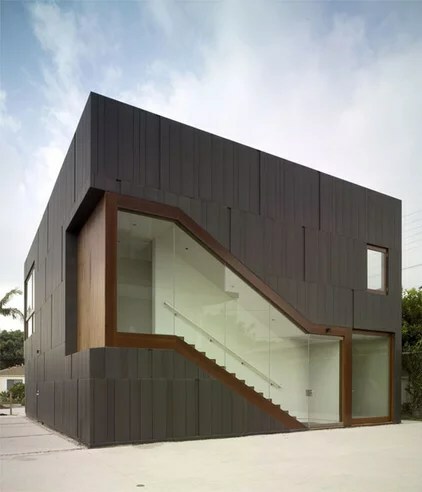 … And the front of the house gives an indication of what is going on: the second-story cantilever creates a carport but also a surface for watching films, something quite LA. This “drive-in theater” represents a hybrid condition: it’s a house and a cinema. This further roots the house in a contemporary style rather than a modern one, since the latter preserved distinctions between various aspects of life (live-work-play, etc). Modern. This long and low house in upstate New York is a simple composition of stone and glass floating atop the landscape on a plinth of sorts. The roof overhang, supported by slender round columns, shields the full-height glass wall from summer sunlight. Each element — roofs, walls, plinth — combine to create a strong horizontal composition that recalls the modern houses of Mies van der Rohe. Modern. 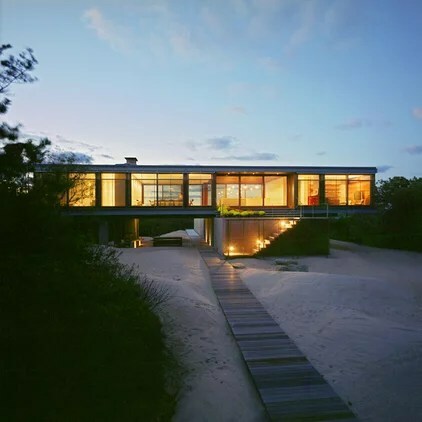 Another Miesian house is this house on Long Island by Stelle Architects. A solid bar with pool supports and sits perpendicularly to the glass box. The open floor plan is apparent in the transparency through the box. This house is clearly modern, almost orthodox except for the manner in which it is raised above the surrounding dunes. Contemporary. Full-height glazing does not solely a modern building make. What at first looks like a glass box framed in red is a contemporary interpretation of one, sheared and shifted in the middle. 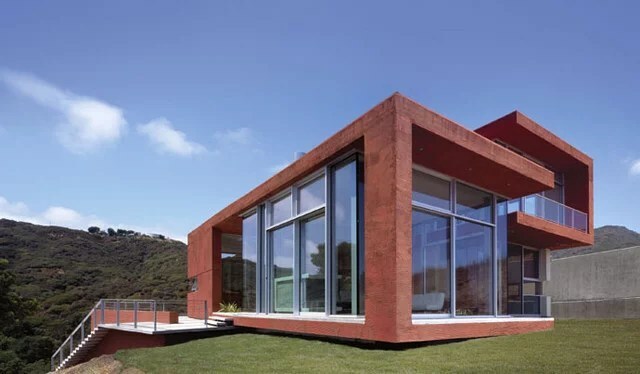 Here the ribbon-like continuity of the stucco-red frame is the most overt expression, a sharp departure from the clear structure and framing of modern houses. Contemporary. This last photo illustrates one vein of contemporary architecture: sustainability. This extreme example, a demonstration home called ScrapHouse spearheaded by Public Architecture, is completely fabricated from salvaged materials: railroad ties, street signs, shower doors, and even phone books. As participating designer Jensen Architects indicate, “some materials were re-invented for their intended purpose,” a consideration that makes this project as contemporary as can be. 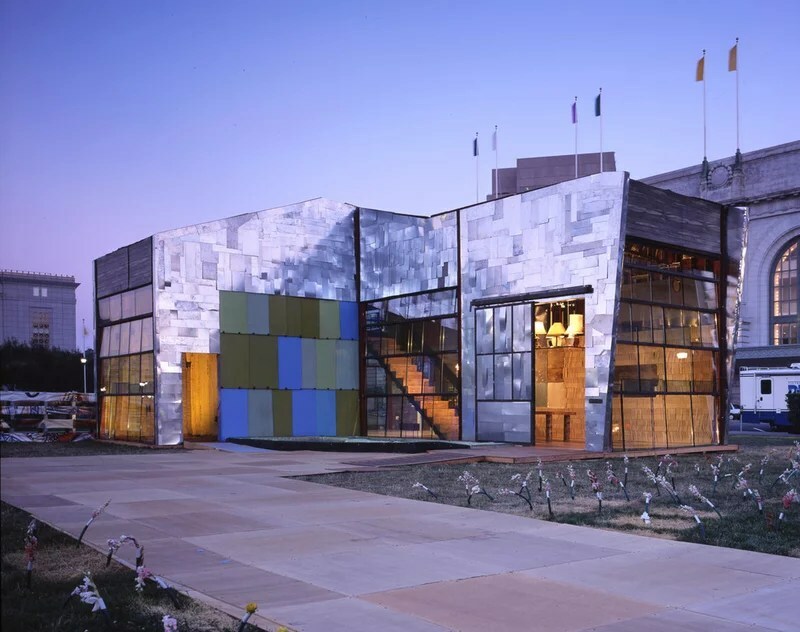 Form does not exist before the building is realized, it is driven by the atypical design palette of salvaged materials.